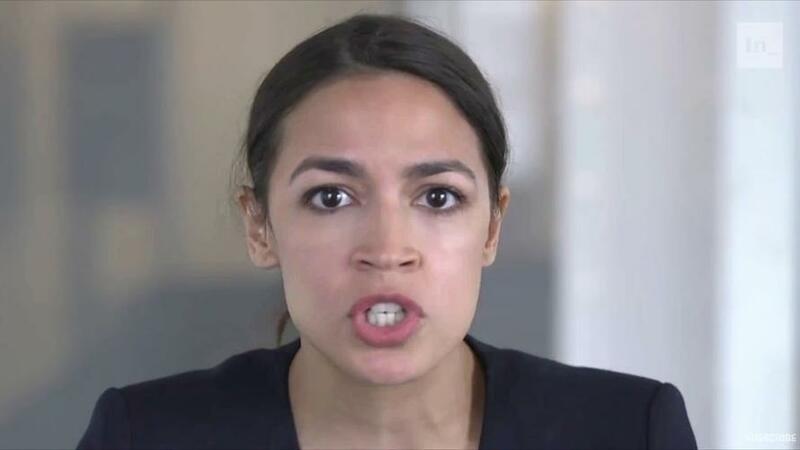 Rep. Alexandria Ocasio-Cortez (D-NY) is rolling out a legislative package which calls for a "national, social, industrial and economic mobilization at a scale not seen since World War II," according to a letter the sent to colleagues. The specifics of the plan, dubbed the "Green New Deal," will be released next week - however Ocasio-Cortez lays out several goals in the letter, including reaching net-zero greenhouse gas emissions "through a fair and just transition for all communities and workers," while creating millions of "good, high-wage jobs," according to Bloomberg. The plan also aims to ensure prosperity and security while investing in US infrastructure and industry. So far over 40 progressive lawmakers, including Democratic 2020 presidential candidates, have gotten behind the Green New Deal - however it has yet to win over Democratic moderates such as House Speaker Nancy Pelosi. And while Bloomberg notes that "the Green New Deal would certainly never pass muster with coal-state Senate Majority Leader Mitch McConnell and President Donald Trump," Democrats behind the plan think it's "important to show it has the blessing of the House Democrats in advance of the 2020 presidential elections." In other words, some Democrats are looking to run on this in 2020. Conservatives pushed back on the idea. 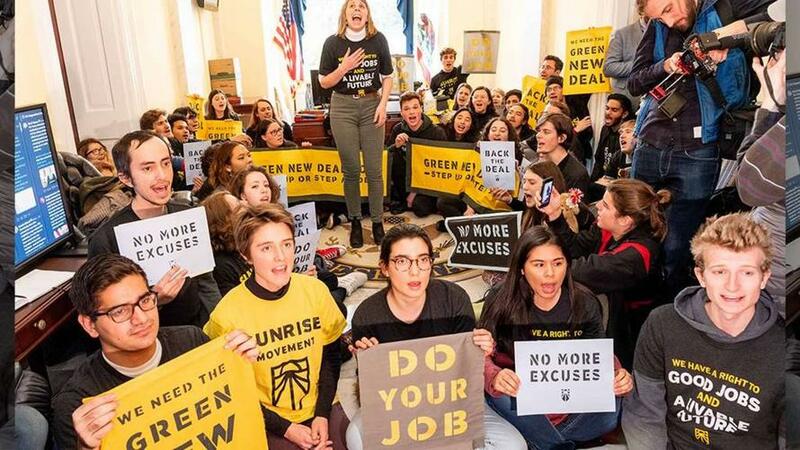 "Americans deserve better than to foot the bill for the Green New Deal’s reckless, expensive, and unattainable goals," said Rep. Markwayne Mullin (R-OK). "The Green New Deal, just like proposals for free college or Medicaid for All, is nothing but an empty promise that leaves American taxpayers on the hook." The resolution has nine co-sponsors, while Sen. Ed Markey (D-MA) will roll out companion legislation in the Senate, according to the letter sent by Ocasio-Cortez. Markey will invite Varshini Prakash, co-founder of Green New Deal supporting group, Sunrise, as his guest to the State of the Union on Tuesday. On Monday, Ocasio-Cortez retweeted a claim from one of her advisers, law professor Robert Hockett, that "the problems the Green New Deal addresses require solutions where bigger is better, imperative, and paraodixcally, more affordable." Meanwhile, analysts have shot down the idea - suggesting that Ocasio-Cortez is in over her head. "It’s a daunting task, and I’m not sure that the authors of the Green New Deal fully comprehend how much they’ll need," physicist Christopher Clack told The Hill.